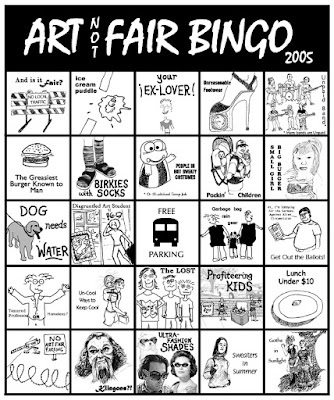 Damn Arbor reader, Lisa Nichols, sent in these Art Fair Bingo cards from 2005. Lisa was a contributor that year and did the illustrations for "Your Ex-Lover" and "Birkies w/Socks" as well as some of the other squares. The whole project was a group effort that was coordinated online. The precise names of all the contributors have been lost to the sands of time. Honestly, I think these might be the best Art Fair Bingo cards I have seen. 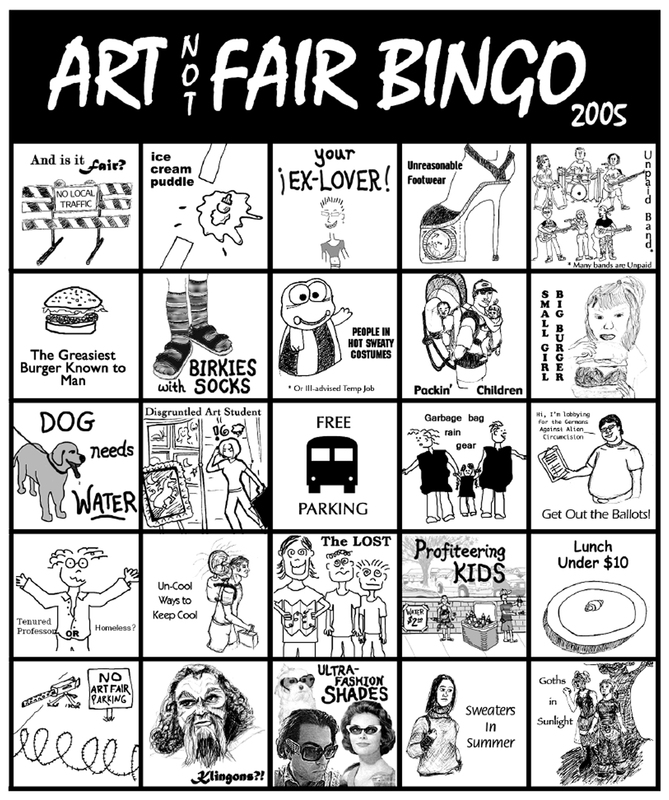 Most of the squares are pretty timeless, except for "Profiteering Kids." Two dollars for a bottle of water isn't exactly outrageous these days. Thanks for sending these in Lisa. 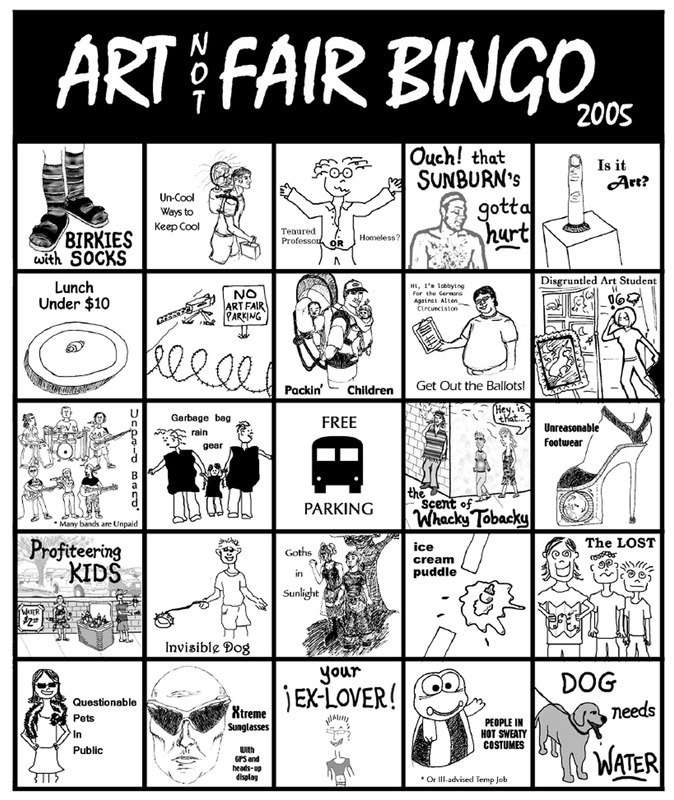 If anyone has any other Art Fair Bingo Cards lying around, please send them in.